Federal investigators will begin testing strains of PCP to determine what role the hallucinogenic drug has played in a series of nightmarish attacks in Camden that have left one toddler decapitated, another young boy dead and his sister clinging to life. Tuesday’s announcement by Camden Police Chief Scott Thomson comes after Osvaldo Rivera admitted smoking “wet,” a combination of marijuana and PCP that can lead to violent outbursts, before slashing the throats of a 6-year-old boy and his 12-year-old sister on Sunday. In another case from last month, authorities said preliminary tests showed a Camden woman who decapitated her 2-year-old son before killing herself had PCP in her system. They believe she had also smoked wet. 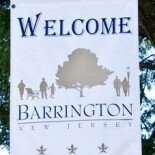 This entry was posted on September 6, 2012 by Barrington Bulletin in Crime, Region and tagged Camden.